It rained on my wedding day. Hard. It was supposed to be an outdoor ceremony, so we had to make several adjustments. Ashley knew exactly what to do to get the most beautiful shots that I didn’t think were possible because of the weather. 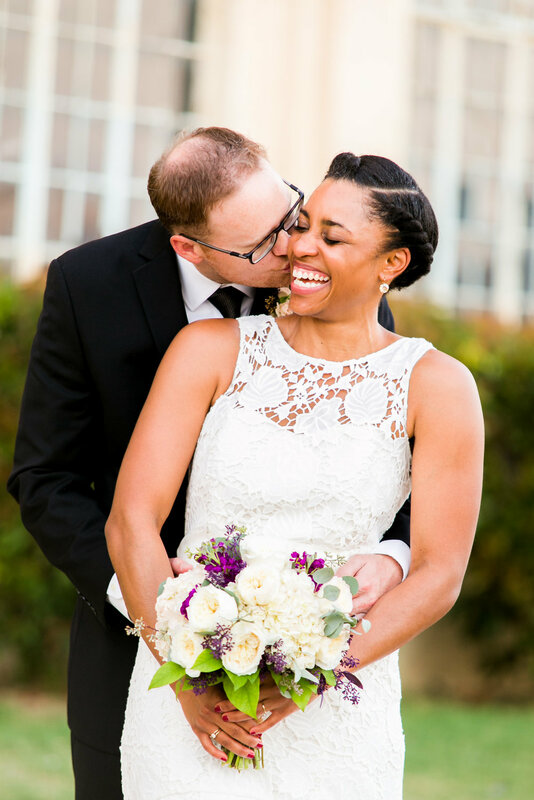 She captured so many special moments, not just with my husband and I, but of our families and guests. Her photos are so very special to our entire family. I’ve gotten SO MANY compliments on our photos, with some saying they were the best photos they had ever seen. I couldn’t agree more! She doesn’t airbrush or photoshop to the point where it looks like a magazine cover, and I believe that’s what really sets her apart from other photographers. She is so, unapologetically authentic. She’s also so much fun! We are so blown away at her talent, professionalism, and laid back personality. Ashley is such a gem and unique person. She was more than our photographer. She was our (and everyone else’s!) friend throughout the entire process. She will always have my highest recommendation for all of your photography needs and will most definitely have our business for years to come. Bottom line: She is the best there is in Oklahoma. Just to clarify - I'm a photographer too, so I know more than a little about this stuff. We hired Ashley for two reasons, her excellent eye for capturing emotion, and her personality which is how she get's those amazing photos. She's able to make the entire group feel at ease and relaxed, and in turn forget that she's even there. And that's when the magic happens. If you're looking for a photographer, take the word of this photographer, hire her! From the moment we met her to the day of our wedding, she was professional, down to earth, and passionate about her work. 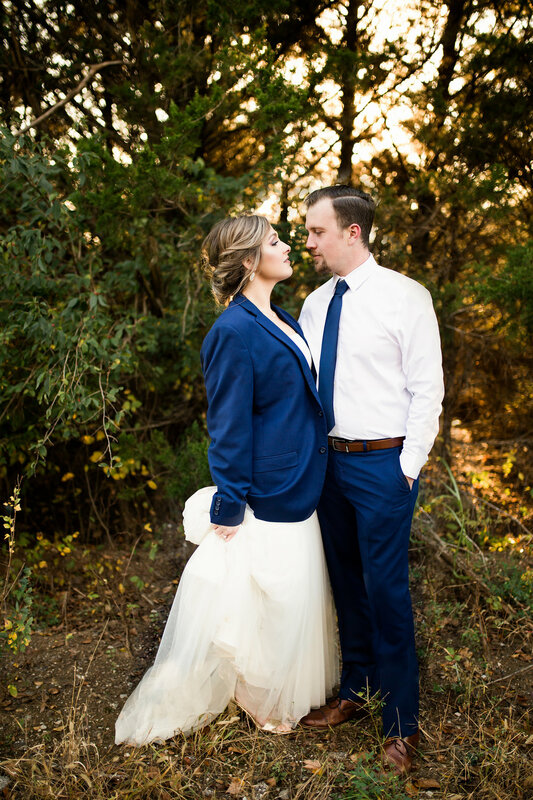 We were hesitant to do an engagement shoot, and she gave us a lot of options that would meet our needs and work with our style and personalities. We never felt uncomfortable, or too posed in any of our shoots. Ashley was all about taking natural shots, and capturing real moments. We are so thrilled with our choice to have Ashley shoot our engagement photos, bridal shoot, and wedding. We will definitely recommend her to anyone needing a photographer, and we hope to use her again in the future! Both of our families also spoke very highly of her, and enjoyed working with her as well. Thank you, Ashley!! stop shopping around and book with Ashley RIGHT AWAY! To anyone who may be considering hiring Ashley Porton Photography, stop shopping around and book with Ashley RIGHT AWAY! She's super helpful during planning (helped us determine the best time for our ceremony) and very thoughtful about the shots she gets (she's a fantastic candid photographer and got all of our must have pictures). She even adjusted her package and shot our rehearsal dinner since we didn't want a bridal session. Ashley is flexible and highly communicative. We are thrilled to hang her art in our home. Thank you for capturing our special day! My husband and I have made a friend for life in Ashley Porton. Her professionalism and skillset truly sets her apart from the crowd. Her service was timely, efficient, and greatly exceeded our expectations. She made everyone in our family and wedding party feel at ease. Not only does she have a great eye for photography, but she is also a great creative director as well. I would recommend Ashley anytime and every time. Ashley was just downright amazing and one of the best parts of the planning and wedding experience. She was super helpful, on time, and flexible and it made all of the difference. She did both my engagement and wedding photos and I fell in love with both. For my engagement session is rained, but instead of postponing we went out and she took some jaw dropping pictures. More impressive were my wedding photos, we had an outdoor wedding, but instead of being cool like it should on a late October evening it was over 80 degrees. Myself and my entire party were hot, sweaty, and miserable. I was terrified that would come across in my pictures, but Ashely made us all look simply radiant. I would recommend Ashley anytime and every time. We have NO doubt we picked the right photographer to capture our memories! We LOVED working with Ashley. She was accepting of our goofy personalities and also sensitive to our photographic interests. She's got great creative visions and does an excellent job editing photos. They look as professional as magazine photos. We have NO doubt we picked the right photographer to capture our memories! She is also flexible- we are waiting to do bridals in March due to some scheduling venue issues... She had no problem and I can't wait to see how they turn out! She was on the ball at our smaller wedding and got all the pictures we requested. I couldn't wait to see the rest. Ashley did our engagement and our wedding photos in 2013, and we couldn't have been happier with the results. We didn't want the typical wedding shots. We wanted someone with an artistic eye to capture our special day, and Ashley performed beautifully. As soon as we got a sneak peek at some of our wedding shots on Ashley's website, I couldn't wait to see the rest. Now, nearly a year later, we love looking at those photos and remembering our special day. Ashley filled in last second (literally the day of) for my wedding when my photographer cancelled. All I can say is that I wish we'd been with Ashley from the very beginning! Despite not knowing each other beforehand, I was comfortable around her the second she got to the hotel to photograph my bridal party, and she worked magic with the camera all night long. Our photos came out beautifully and I can't recommend her highly enough! I know the next time we need a photographer we will DEFINITELY be calling her!